As most of us are already aware, spending time in the sun without sunscreen is a risky proposition. Every day out in the sun increases your risk of skin cancer. But how much sun is too much? 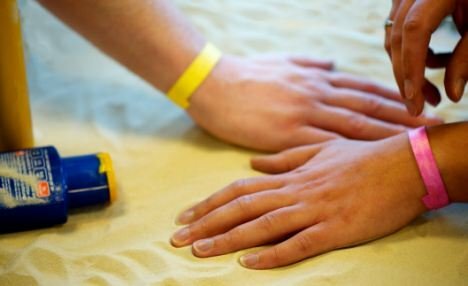 A simple, inexpensive wristband developed by Scotland’s Strathclyde University could warn you when your sun exposure has reached dangerous levels. The wristbands are made of paper and will probably cost no more than about 10 cents each. They are meant to be used just once and discarded at the end of the day. 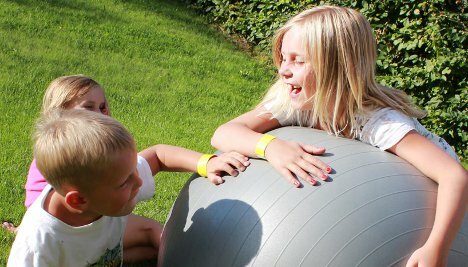 The wristbands are made of a UV-sensitive material that changes color as the threshold amount of UV radiation is reached. Different threshold levels are set for different complexions: bands meant for fair-skinned people will change colors with less radiation than those meant for dark-skinned people. When the band changes from yellow to pink, it is time to get out of the sun because a burn is imminent. The bands seem to be effective only for measuring sun exposure in people who are wearing no sunscreen, so those of us who faithfully apply sunscreen every day will still have to wonder if we are being exposed to too much sun.